Hummingbird plant. 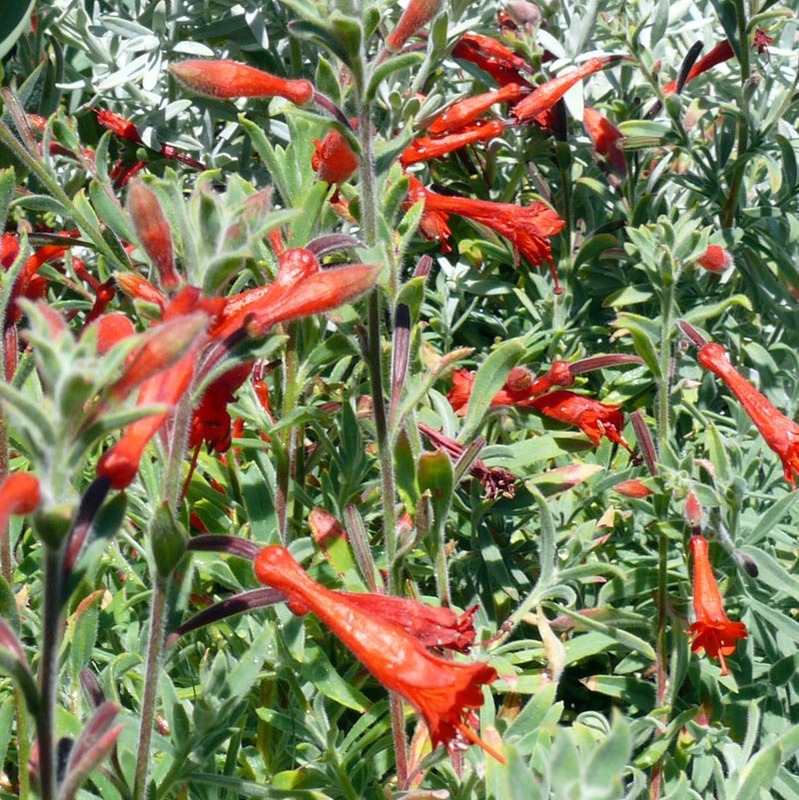 Spectacular tight mound of grey-green foliage covered with scarlet trumpet-shaped flowers. 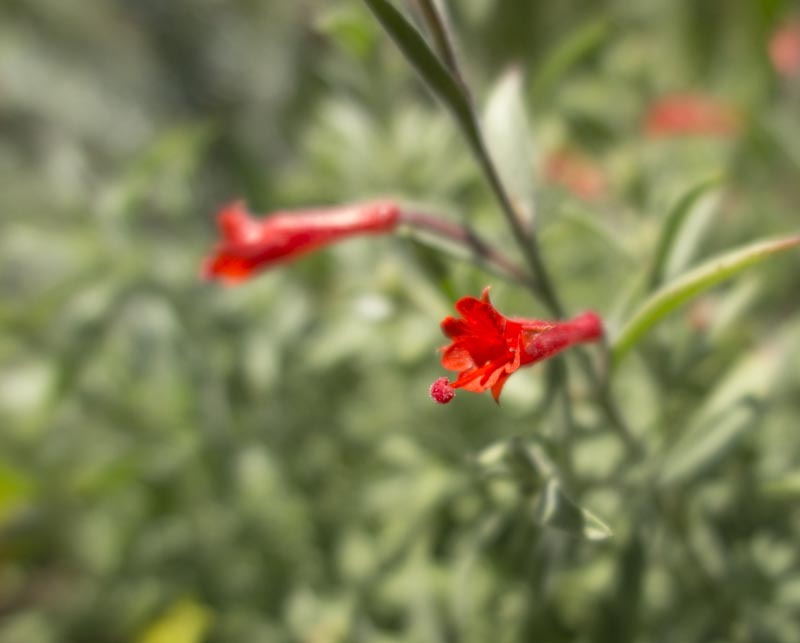 Place this groundcover at the front of garden, skirting taller plantings.